Yes, and in fact, the most developed cities are cities that rely on the latest technology and create opportunities for people to innovate. Then, which cities now have the latest technology in the world? Taipei became a high tech city, mainly because of its industrial design. Over the years, the city has made more hardware innovations than its software. Some of the biggest PC companies like Asus, MSI, Gigabyte, and Acer are headquartering in Taipei. According to the survey, Taipei also has a high score in the amount of investment for technology. Boston has a number of technology-focused educational institutions such as MIT (Massachusetts Institute of Technology), Harvard, Tufts, and Northeastern. Most of these institutions are engaging in biotechnology and robotics. The city of Boston also has considerable investors in technology, such as Battery Ventures, Atlas Ventures, Bessemer Venture Partners, and Matrix Venture Partners who poured a lot of money for innovation and startup. A number of leading companies such as Facebook and Amazon also have a research and development office in Boston to improve the technology. Despite being famous for the film industry, in 2014, Los Angeles has a more hi-tech job sector than any other city in the United States. There are several things that make Los Angeles the city with the most advanced technology. Among them is the number of startup field technology very much. Secondly, a considerable investment value is one of the reasons technology in LA so develop. Seoul is often regarded as the city of the future. Innovation is immediately put into practice in the city’s design. The transportation system is better than the New York subway. Seoul also has many patented technologies. The city develops ubiquitous technologies, such as LTE that is now used on smartphones and others. New York is a city with heavy technology. Not only seen from the infrastructure, but also the progress of people in this city. 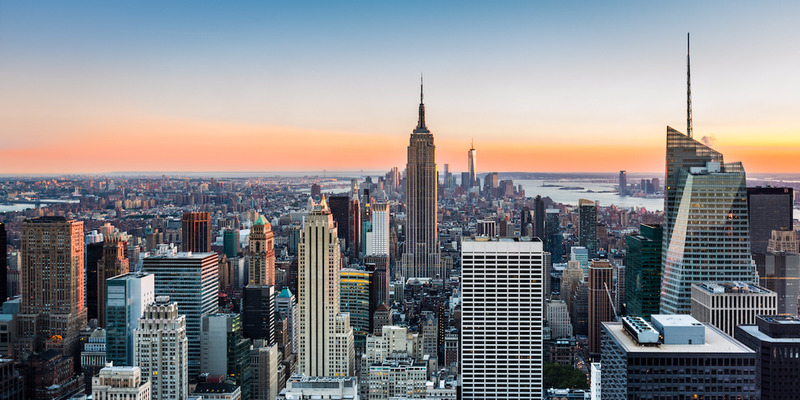 According to a report, nearly 7,000 technology companies are based in New York City. While 100,000 technology jobs are available during 2013. Smart city technology that is very advanced, such as LinkNYC which is an integrated technology, free Wi-Fi service, and others. London has a public transportation dream, the Crossrail Project, which has been introducing for the past year. Until 2018, that 10 new railway lines will connect 30 existing stations with new tunnels. The US $ 20 billion project is the most expensive construction in Europe. In addition, London has a number of startups and programmers are quite a lot compares to other cities. London has a lot of more IT jobs than California. In the next few decades, London will add job vacancies for information technology up to 11,000 positions. San Francisco has Silicon Valley which is now a hometown for leading technology companies. How not, many tech startups were born and thrived in Silicon Valley, San Francisco. In addition, investments in technology are of enormous value. Silicon Valley also has a large number of designer and programmer populations, making it the most technologically advanced city.